People dream, but very few of them make dreams come true. 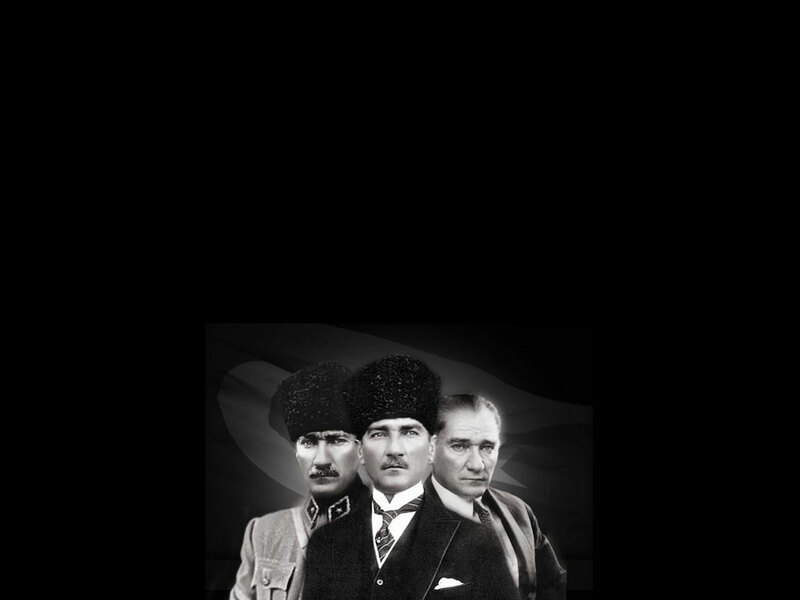 Mustafa Kemal Ataturk was such person who was one of those heroes. He was born in 1881 in Salonica, which is in Greece now. His mother was a housewife, and his father was a military officer in Ottoman Army, as Ataturk would be. He grew up in a very harsh time during which Ottoman was stuck politically and economically. He shined in World War I, and these tough times challenged him, therefore he became the leader of Turkish National Movement as an excellent soldier. He was not only a great soldier but also the first President of Republic of Turkey and a revolutionary statesman. The first reason why I admire him is that he was an intelligent soldier. Although his parents wanted him to study trade, he took the military entrance exam. As a result, he study at Salonica Military School. After graduating from Salonica Military School, he continued his education at Monastir Military High School. After he had graduated from Ottoman Military Academy, he was assigned to the fifth Army of Ottoman. To give an example, in the army, he accomplished massive goals. He started to shine because of his intelligence. Similarly, in the World War I, he succeeded to be a great commander, and made Ottoman stand against its enemies especially in Battle of Gallipoli, which was a turning point for Ataturk. On 19th of May 1919, he set a huge movement off in order to be independent, and he was successful. After that, he founded Republic Of Turkey by making people believe in an idea which claims that Turkish War of Independence would be successful. He was an excellent soldier that he guided his people to freedom. The second reason why I admire him is that he was the first President of Turkey. The most important thing that I was influenced was Ataturk’s determination to found the Turkish Republic. To illustrate, during World War I, he arranged several meetings which let him to explain his aim which was to establish a new government instead of continuing with stucked Ottoman. First, under his leadership, the legitimate government was established on 23 April 1920. On 29 October 1923 the Republic Of Turkey was officially proclaimed. Ataturk was chosen the first President of Turkey. He was the only one person that deserved this hundred percent. If he had not founded Republic Of Turkey, my nation would not have had freedom. This is one of the most important reasons that he is my role model and I admire him. Thirdly, I admire him because he was a revolutionary statesman. For instance, after he had been chosen as the first President, he made a lot of things which were transformed from the old style of ideas into modern ideas by him. For example, he published a lot of book to explain himself. His reforms taught the people of Turkey to be free and democratic. He is still being criticized by the citizens of Turkey in some ways especially a secular government system which provide the people who live in Turkey equality in terms of religious differences. Some examples of his reforms are new alphabet, to cease the caliphate, some educational reforms, and so on. To sum up, at the same time, he was an intelligent soldier, the first President of Turkey and a revolutionary statesman. He affected a lot because of his determination even in the worse times. He taught me not to give up and to be aware of my potential. In spite of the fact that some people adversely criticize him, he was a great person and a real hero for me and I will always follow his way as long as I live.